Hello I'm Linda, your local behaviour expert for Bark Busters Home Dog Training, as featured on BBC Radio Humberside and Minster FM. 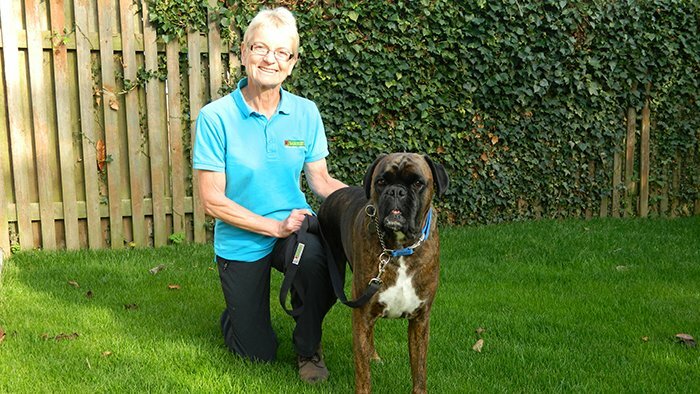 I have been the therapist for Bark Busters Dog Training York, Scarborough & Harrogate areas for over 10 years, and I am delighted to say that I enjoy every day I spend working with my clients and their dogs to alter the behaviour that is causing them stress. It sounds rather pompous to say that I change lives, but that is, in fact, what I do! By making some simple alterations to the way owners communicate with their dogs, I can watch the relationship alter as your dog starts listening. After our very first session I usually see both dogs and owners visibly relax. When I come to visit you in your home, I will listen to you and we will discuss your problems before planning a way forward. My training is kind, fast acting and effective and is based on natural communication, using voice tone and body language. I will set a programme so that when I leave you after our first lesson, you have the skills you need to continue the work and to build on your progress. I am often met with tears of frustration from clients who have reached the limit of their patience with their ‘wayward’ friend. I am able to console them for two reasons: Firstly, I know I will be able to help them and, secondly, I have been in that position myself and totally understand the frustration. My background is that I was once a frustrated dog owner just like you. The Bark Buster approach enabled me to change the way I communicated with my two boxers, William and Holly. It was because of the changes I saw in their behaviour that I decided to become a Bark Buster Therapist myself. Since then I have trained over 1400 dogs and their owners. I am also the UK Head Office Trainer, responsible for training all of our new therapists into the Bark Busters business. In my free time I support many charities such as Boxer Dog Rescue Northern England, and Boxer Friends Spain. As a boxer addict myself, I love the opportunity to support these charities through fundraising, support on their Facebook Group Pages, Home checks, and attendance at their Fun Days. In 2016 I will be running the London Marathon in aid of Boxer Friends, Spain. I give child safety talks in schools accompanied by Oliver, my current boxer, who is, of course, Bark Buster trained and able to cope with the attention he gets from the children…in fact he loves it! 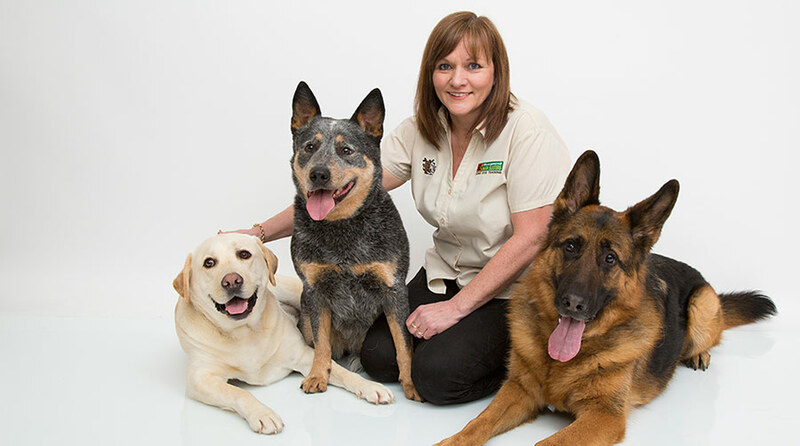 During my career as a trainer, I have dealt with every aspect of canine behaviour including, aggression, pulling on the lead, poor recall, separation anxiety and many more. If you are struggling with your pet's behaviour, please do give me a call and let me help you get your relationship with your best friend back on track. I can also help if you are thinking of getting a puppy and would like to start your puppy off on the right track, or if you are adopting from a rescue centre and would like to get off to a good start. My services are backed by our unique support guarantee to give you peace of mind that I will return to you free of charge for the duration of your guarantee to help and support you in implementing our kind, fast and effective techniques. I was most impressed in the way the lesson was presented by Linda,very clear instructions for corrections as shown in walking on lead,boundary lead through doorways and barking.